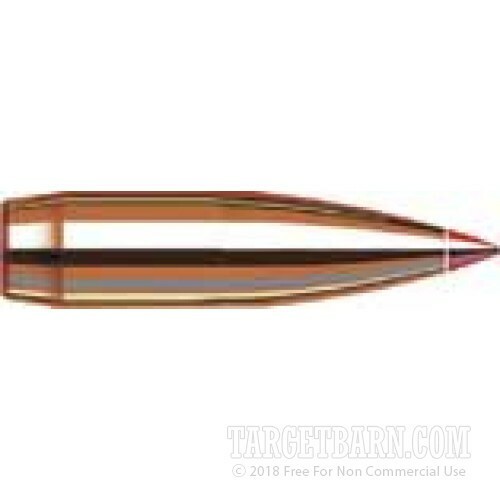 Load some amazing hunting ammo for your .308 Winchester/7.62 NATO rifle with these bullets from Hornady's Interbond series. 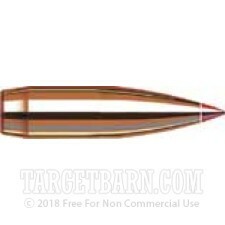 Each round in this box of 100 uses a polymer-tipped design that provides incredible accuracy and deadly terminal performance for quick kills against medium and large sized game. Interbond bullets include a number of high-end features that ensure optimal results. These include a bonded-core design that locks the core and jacket together for superior weight retention, as well as an extra-thick jacket that provides better mushrooming and penetration.